Without a doubt Smartphones have become a necessity of life and it is impossible to imagine life without one at your disposal. They have managed to integrate themselves into every aspect of our life. They have taken over the cameras, your iPod and personal diaries. In fact they’ve become so popular, that now gadgets are coming up to compliment your smartphone. 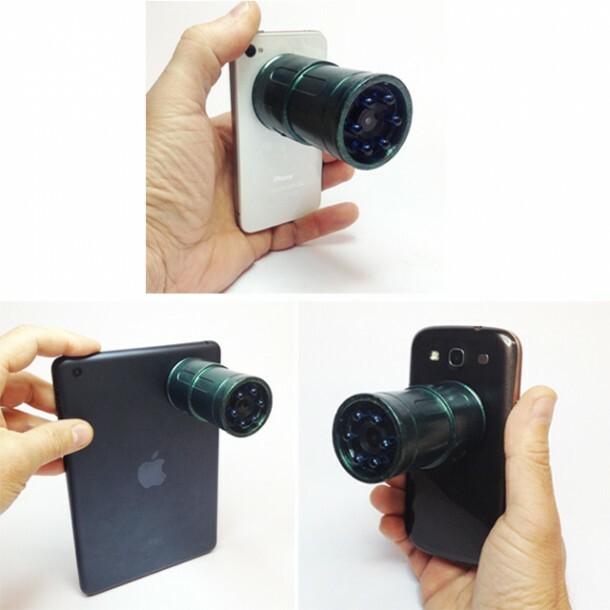 The latest among such gadgets is Snooperscope whose goal is to provide night vision capability to smartphone users and tablet users. This particular gadget is easy to attach and detach since it makes use of magnet to attach itself to the phone. It gets attached at the back of the smartphone. The gadget also has the ability to be mounted on a tripod or on the dashboard of a car by using the screw port that is located on the gadget. This port allows for the device to be attached at a number of places with convenience, e.g you could fix it at the front door for your late night visitors. The gadget connects to your smartphone using Wi-Fi. 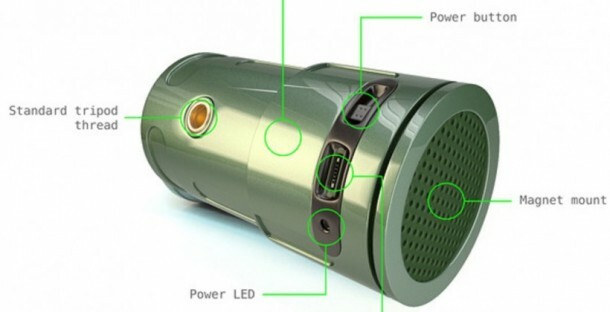 It creates its own network where the user can connect and then use this gadget. 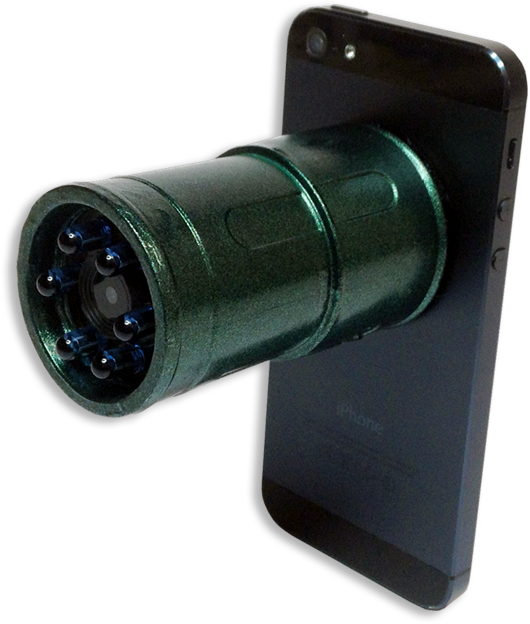 Once connected, the user has access to the live feed from the night vision camera and is able to take snapshots or record video. Since the camera makes use of infrared, it can be used where stealth is crucial because IR is not visible to naked eye. PSY Corporation is currently looking for funding to make this gadget commercially available and have started their campaign on Kickstarter, where they have met an overwhelming response and have already surpassed their £40,000 goal. Pre-orders are being taken for a pledge of $70. The delivery is to start in March hopefully.